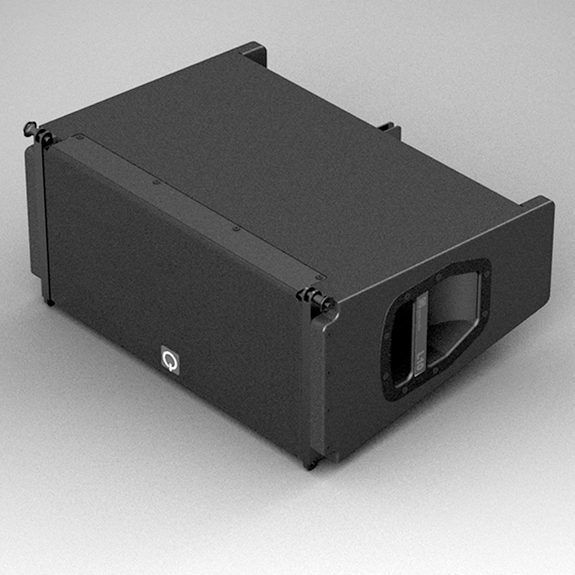 The Quint Audio L10 is a 1×10”ND/2×1″ exit arrayable full range loudspeaker module designed for scalable vertical system setups in small to medium-sized PA applications. The system can easily be adapted to a desired coverage and to a desired SPL-demand. 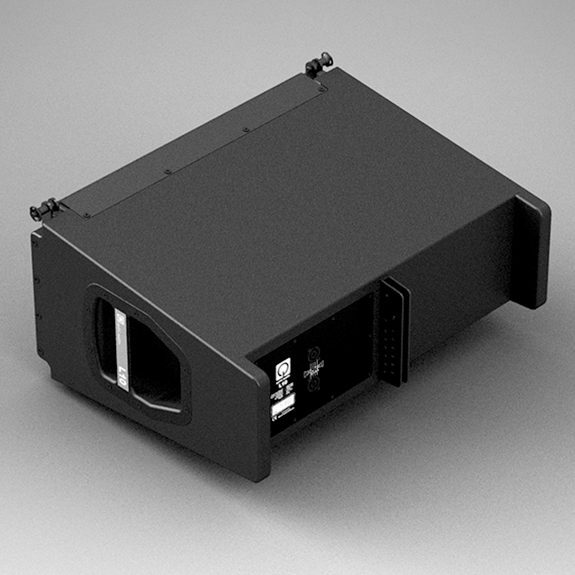 The L10 is suitable for both stacking and flying. In both ways a standard setup is made up of 2 to 3 pcs of L10, to which one or more of the associated L-bass extensions can be added. Stacking and flying of standard setups can be done with the aid of the L-coupler module. The bass-extensions mentioned are the L-sub and L-low. 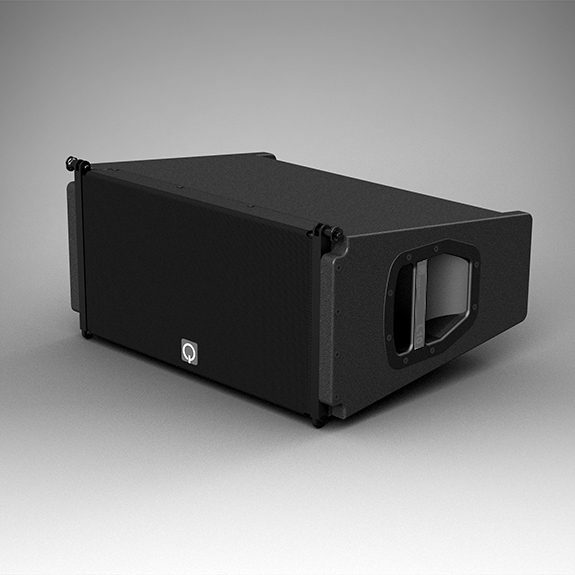 The L-sub functions as a genuine sub, while the horn-loaded L-low is more suitable as a real low-speaker. 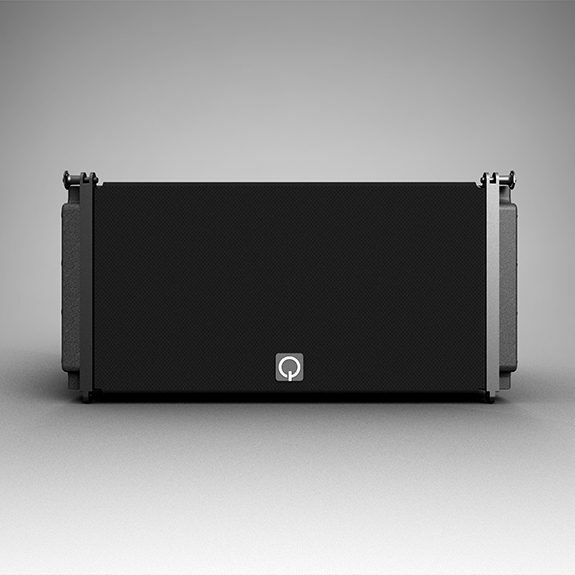 A combination of L-sub and L-low results in a very powerful bass foundation to L10 tops. More information in the L-low and L-sub data. For more elaborate flown setups, involving more than 3 pcs of L10 tops, an additional L-cradle is available. For small ground based setups, with the aid of a special adapter, it is possible to place an L10 on a basic speaker stand or pole. Placing 2 to 3 tops on a stand safely, requires the use of the Quint Audio R2400 speaker pole. 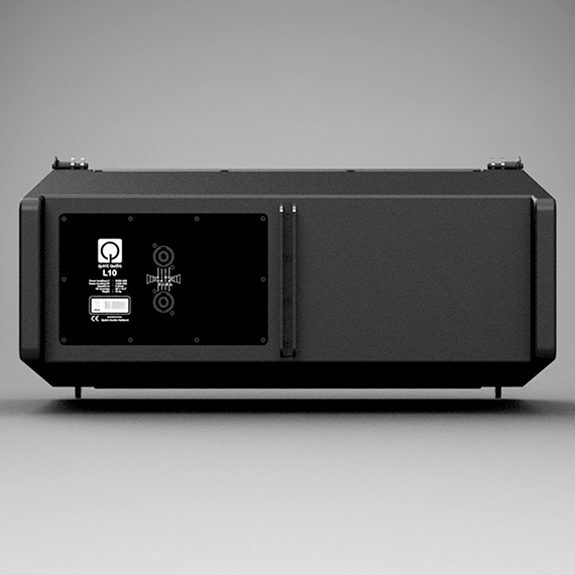 Overall, the L10 is a very versatile and flexible system that is ideal for many daily rental situations and fixed installations and plays a valuable role in the Quint Audio system range.